Blizzard’s Overwatch League is maybe the most ambitious American esports league ever, and its preseason wrapped up this weekend. The Compete staff, with an assist from our one blogparent that we’re still on speaking terms with, breaks down what went well last weekend and what can be improved for the regular season. The real matches begin January 10. I’m less skeptical than I was! Many mediocre Overwatch broadcasts made me extremely ready to hate the Overwatch League. The preseason wasn’t perfect, but I’m much more excited for the regular season that I was a week ago. The presentation and production, especially having teams that exist specifically for the League, really sucked me in. With names, cities, and colors—not givens in esports!—each team both on-stage and in-game looked like an organized unit rather than a smattering of players. In-game skins with team colors for home and away is one of the best ideas I’ve seen yet for competitive broadcasts. The replays did a great job of breaking down intense action or highlighting specific moments, and the studio looked professional as hell. 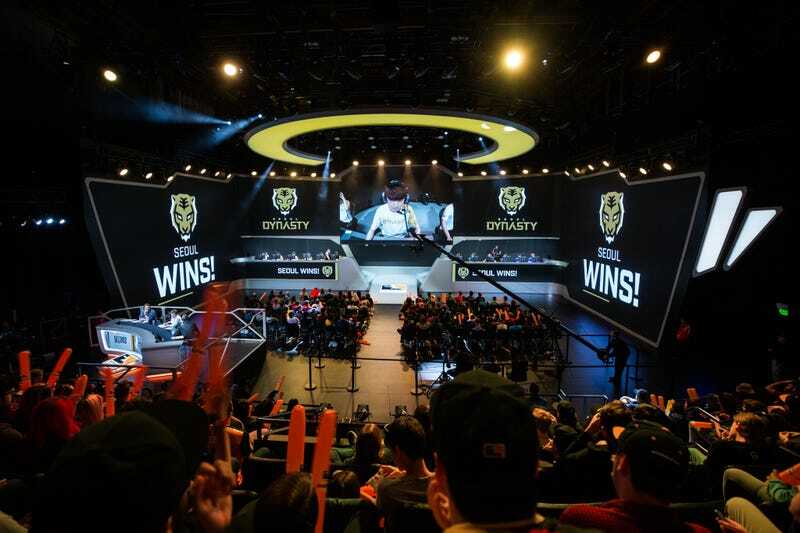 The biggest question that remains for me is how Overwatch League will pull in the dreaded non-endemic audience, not just players of other competitive games but non-gamers, period. If Blizzard wants to pull in the apocryphal moms, it still has some wrinkles that it needs to fix. The spectator view can still get confusing at times, especially when it focuses on one person’s perspective for too long. Certain maps are easy to understand, but others don’t provide good viewpoints for the action. And the overall responsiveness of the production crew to hop to different observers or cameras when the action is happening is a little too slow. Personally, I’m anticipating the regular season more eagerly than I thought I’d be. But the league has a ways to go before it’s a product that pulls in the average sports fan to fire up a stream and watch competitive Overwatch on any given Friday. I’m more skeptical than I was! After watching the preseason, though, I’m back down to Earth. Commentating and producing live sports is hard, but the Overwatch announcers and producers seemed to struggle to focus on the right characters. Instant replays helped fill in the gaps, but I found myself longing for much, much more of the bird’s-eye view than I got. The World Cup and league both struggled with a problem that has plagued Overwatch’s competitive scene from day one: minimal acknowledgement of healer characters and their unique ability to turn a match around. Commentators almost never mention healer-related highlights, but they’re integral to the game. Now that almost every team has a Mercy player, including pro teams, her resurrection skills have become central to Overwatch strategy. Her ability to heal an entire team in seconds is on par with a good Widowmaker’s ability to take down a whole team with a series of well-placed headshots, but commentators tend to only focus on the latter. In the Overwatch booth, killing people is impressive; saving your teammates isn’t. This does the game a disservice. Those healers and their skills are what make Overwatch different from esports without fantastical resurrection mechanics, like Counter-Strike or Call of Duty. In these other esports scenes, a sniper getting a ton of kills in a row would be a clincher. But in Overwatch, that’s just not always the case. The spacing, timing, and meter-gauging of the healers matters just as much as Widowmaker’s perch. Overwatch doesn’t fit into the Counter-Strike mold. The whole point of this game is that each character class has their own role to play. It’s up to the video editors and commentators to find ways to illustrate that to audiences, even if those audiences are used to watching other team shooters where that’s not the case. It’s still confusing why Blizzard picked Overwatch to go all-in on. The competitive scene is still fairly new and poorly watched. The huge cast of characters and diversity of maps and tactics—the heart of the game—make mainstream appeal unlikely. The way to turn that tide isn’t to just sand off Overwatch’s edges and trying to make it look like just another team shooter with cool killstreaks. This is a weird and messy game that requires production and commentating that meet the complexities required to explain how a match was won. Easier said than done, and the World Cup didn’t nail this problem, either. But the camera at the World Cup seemed more evenly split between different character roles and highlights, and the league would be wise to continue on that trajectory. It hasn’t so far. I’ve been keeping up with pro Overwatch since before Overwatch League was even announced, and I mostly really enjoyed the preseason. It felt like a far, far more polished version of the sport I’ve been watching for months, though there were still a few hiccups. 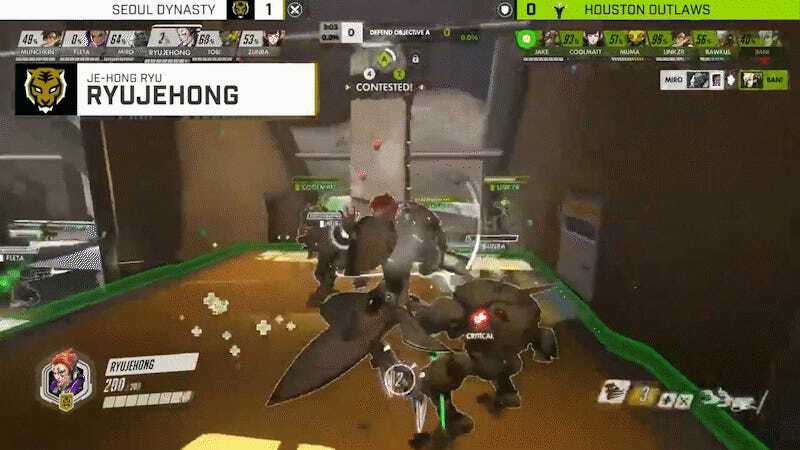 I watched more than half the matches, and I really enjoyed the burgeoning rivalries between teams like Dallas Fuel and Houston Outlaws, LA Gladiators and LA Valiant, and Seoul Dynasty and New York Excel Spreadsheets. Teams were clearly still feeling things out. But that led to some fun compositions and weird plays, like the occasional Torbjorn sighting, or Seoul’s Ryujehong playing as Moira and killing everyone within a 30-mile radius of the moon. I wasn’t sold on the city-based structure of the league at first, but cheering along with a hometown crowd at a bar ruled. I plan on going back in January, despite the added difficulty of keeping up with an already hard-to-follow game in a loud, crowded space. When you’re physically in a location that feels like part of Your City, gasping and whooping with a crowd of people who are similarly invested, it’s easier to understand the appeal. I hope this type of thing develops in more cities, and SF Shock/Shaq for life. I’m gonna beat the very dead horse McCree rode in on, though, and add that Overwatch is still difficult to follow, even in its best moments. It feels like you have to retrain your brain every time you tune in if you want to be able to pick up on details, as well as overarching narratives of each match. The best-case scenario here is that my Overwatch-viewing brain atrophied between the World Cup and OWL preseason, and once the league is running regularly, following matches will feel more natural. By the end of the preseason, I certainly was able to make better sense of the chaos than I was at the beginning. That bodes well! I’m not totally convinced that Overwatch will ever cross over and become the mainstream esports sensation Blizzard wants, but we’ll find out soon.